Chocolate chip waffles are a delicious way to start your day. Our recipe features simple homemade chocolate chip waffles that will cook to perfection in your waffle maker. All ingredients are easily found on hand and are perfect for a weekend breakfast, brunch or a special weekday breakfast (birthday breakfast treat?) We love this waffle recipe because it’s not too sweet and is absolute perfection with local maple syrup. Read our review of the Breville Smart Waffle Pro to see why we think it makes the best waffles at home. Delicious fluffy waffles make a fantastic breakfast or brunch option and with this recipe for chocolate chip waffles, the added chocolate chips are semi-sweet so they are perfectly delicious! 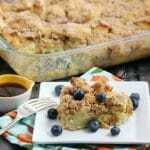 Great served alongside our Greek Yogurt Quinoa Breakfast Bowl or a Blueberry Almond Smoothie for a complete breakfast. Homemade waffles are truly one of my favorites ways to sit down, enjoy time with family and friends and celebrate the weekend and the slower pace that comes with it. 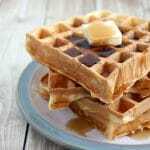 Whether it’s a special occasion or you are making the waffles the special occasion this recipe is easy to make, not too sweet and sure to be a hit with all family members from one to one hundred. 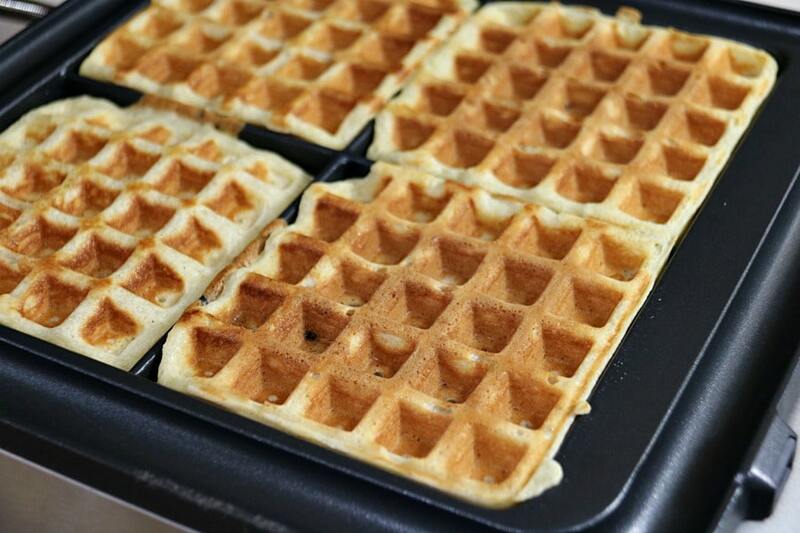 We made ours on the Breville 4-Slice Waffle Maker on Classic setting and each waffle was perfection. Preheat Breville The Smart 4-Slice Waffle Maker to Classic (setting 2) and adjusting to your desired level of darkness. In a small bowl whisk eggs and milk together. In a separate bowl mix together flour, sugar, baking powder, salt, and cinnamon together. Combine wet and dry ingredients together just until combined, add chocolate chips and whisk in melted butter. Fill the waffle maker using the scoop provided. Close the lid and cook until waffle maker beeps. An easy recipe for Chocolate Chip Waffles creating perfect fluffy Belgian-style waffles every time. In a small bowl whisk eggs and milk together. 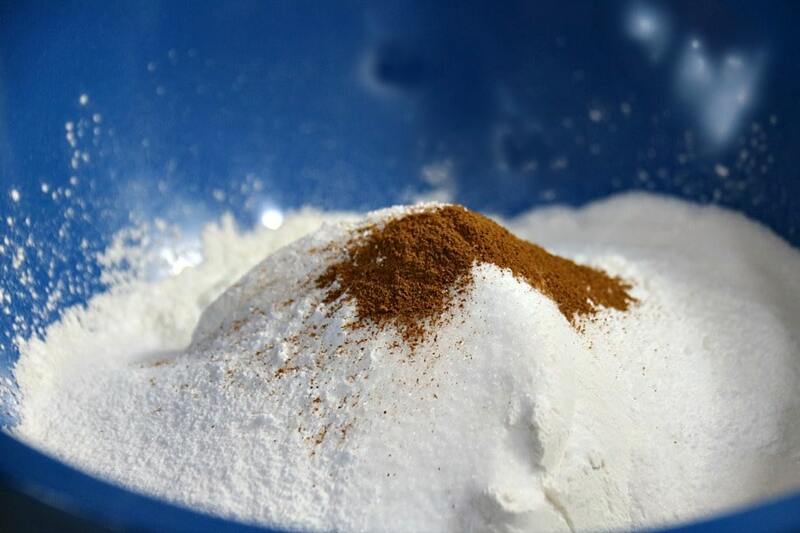 In a separate bowl mix together flour, sugar, baking powder, salt, and cinnamon together. Makes 4 servings of 2 waffles each. Love waffles? Why not try our Panettone Waffle Recipe next weekend and decide which you one is your favorite. Looking for something less sweet and perhaps spicy? We love our Mexican Scrambled Eggs. The great part about breakfast food is you can serve it any meal of the day. Waffles for dinner…absolutely. Once you’ve tried this recipe I’m sure you will agree it’s perfectly delicious. A must try! It’s mouthwatering! More than 5 star, how about simply luscious. Great waffle recipe! Love the cinnamon taste of the waffle batter. Looks like a great receipe! My kids love chocolate chip pancakes. Maybe I can convince their grandpa to make chocolate chip waffles for them one day. We love these more than chocolate chip pancakes – so delicious! I’ve found the best way to do chocolate chip waffles is to sprinkle on the chips after you’ve poured the batter in. Even distribution, easier scooping or pouring of batter. Girls LOVE chocolate chip pancakes and now waffles, thanks! These sound and look amazing. Something my boys would really enjoy! Thanks for sharing! Oh this recipe would be a hit in our home. Thanks for sharing yet another delicious recipe. Very simple and straightforward recipe, chocolate chips are an added bonus! Yum. so many great item you can put in waffles, but chocolate chips are right at the top of the list. 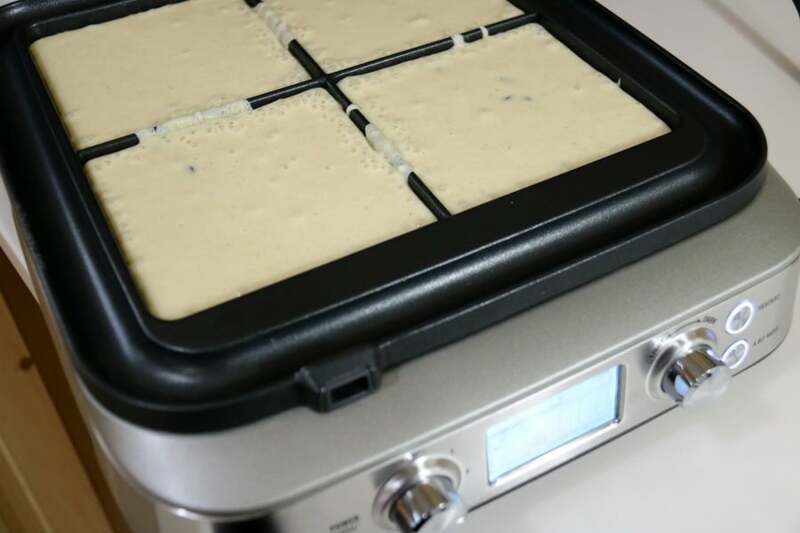 These sound great, I love that there is settings on this machine so no worries about burning your waffles or undercooking them! This is definitely the kind of recipe kids go crazy over. These waffles look so delicious! Awesome recipe! Thank you for sharing. Looks like a good new recipe to try. 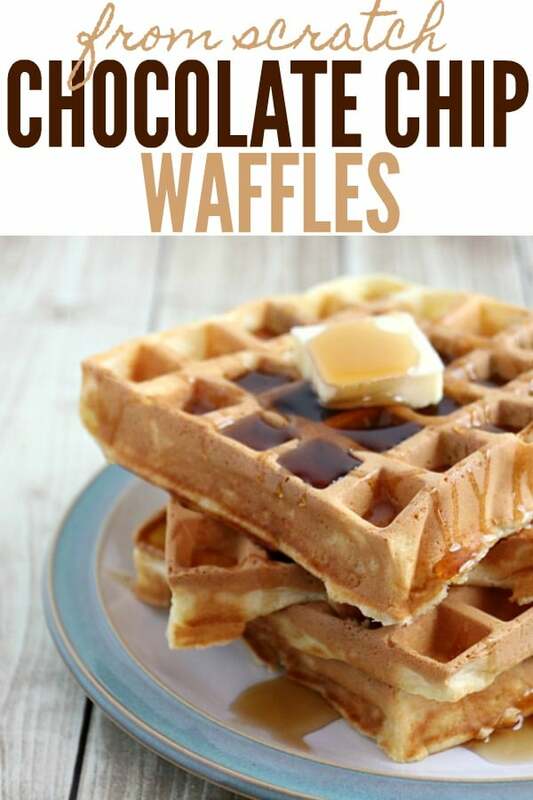 I haven’t tried chocolate chip waffles and this recipe sounds delicious. This sounds really delicious! There are some people in my family that would enjoy it. So Good, recommend for everybody. The cinnamon would really make this taste great not to mention the chocolate chips. Thanks for the Chocolate Chip Waffles recipe I can’t wait to try it we have waffles every 2nd Saturday for breakfast with the grandkids,I bet they will love these! My grandchildren would love these chocolate chip waffles. Yum!! These look so good, i can’t wait to try this recipe out. Delicious cinnamon and chocolate chip sounds like a hit to me thank you for sharing! Delicious flavours are combined in this recipe…butter, cinnamon and chocolate chips…mouth watering. I love how thick and fluffy these waffles are! 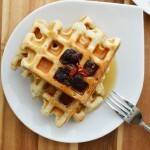 Ummmmm these waffles look super yummy and easy to make, thx very much for sharing the recipe. There are lots of little voices here wanting to make them. Thank you for the idea and the recipe. This recipe seems excellent. I’m definitely going to attempt to try to make it. 5 stars. My kids would definitely embrace this version of waffles. These would make for a fun dessert that you could offer different types of toppings to go along with them. Yes! Love the idea of making this part of dessert bar! I’m getting hungry looking at this. I’m going to try this recipe soon. This recipe sounds delicious. I love the taste of a hint of cinnamon in my waffle batter. I can honestly only give it a 4. Have never been able to wrap my head around choc chips in anything “breakfasty”, like muffins etc. The rest of the recipe looks good, and if I had a waffle maker, might put crumbled bacon in it. Recipe printed for a future time. Don’t have the right equipment – hopeful. Who doesn’t love cinnamon and chocolate. Sat afternoon – looks like pancakes are in order, the next best thing. Wow! These look great! My kids love waffles, I have never made them chocolate chip ones before. I will have to make them! We love our Breville. We have the model that makes big round ones and flips over so you can make one on the opposite side at the same time! My son LOVES waffles! But I do not have a waffle maker. 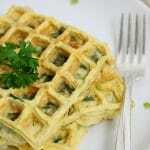 Do you have any suggestions on how to make this recipe without a waffle maker? I would recommend Chocolate Chip pancakes if you don’t have a waffle maker. I will be showing this to my daughter, she loves to make new things for breakfast. These sound and look delicious! These sound like such a great treat! Yum, the only thing better than waffles is chocolate chip waffles! Yum! Yum! I rate this 5 out of 5 stars. The recipe looks good to me. I will have to do some changes since I can’t have wheat or dairy. Sounds great – I can’t wait to try it. I didn’t think that chocolate chips and syrup would go together but my daughter talked me into trying her chocolate chip pancakes… I was wrong! This sounds SO much better too! Can’t wait to try it! That sounds so good, I love that it as cinnamon and chocolate chip! Cinnamon and chocolate chips?! I don’t know if that would be a good combo. 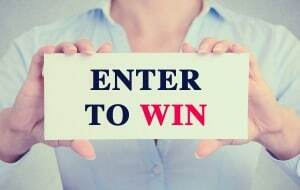 I will have to try it out if I win. It’s delicious – you will love it! Oh wow. 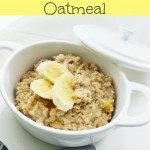 this would make for an amazing breakfast!!! This looks like a great recipe. I have not made waffles before. Looks delicious; great base recipe that can be used with various mix-ins and toppings! My children would love these waffles. These look delicious. My kids have just discovered how fun it is to make waffles. We need to try them soon. I love this recipe because you can make them in 20 minutes with ingredients I always have at home. Super Simple! And looks yummy! Sounds like a yummy recipe, definitely going to try it! I love this recipe because you can make them in 20 minutes with ingredients I always have at home. 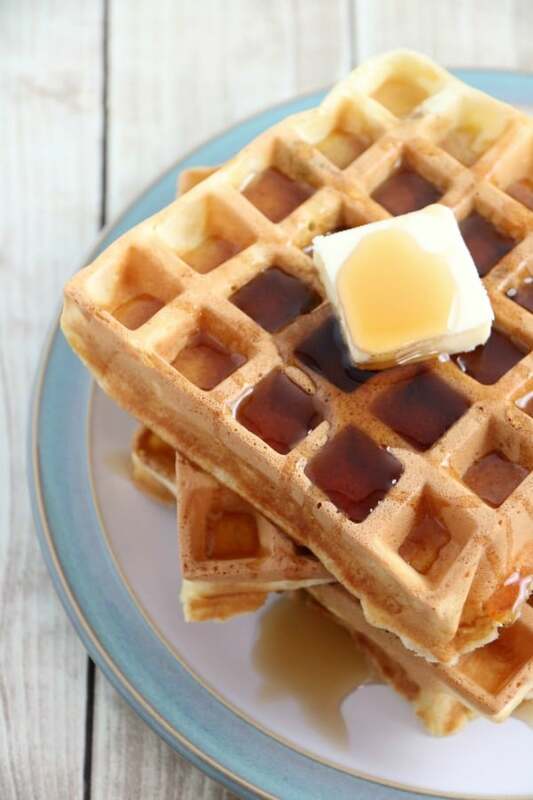 These look delicious, it is on my back to school prep list to make some waffles to freeze for the kids for breakfast. Will have to see if they want to make some of these! They sound delicious! Will be trying this weekend . We love chocolate chips in our waffles and pancakes! I need to try this recipe. Let us know when you! Also just wondered what’s you favorite guilty-pleasure snack at the mo? Matt recently posted..The smallest OLED TV for videophiles with limited space! Oh wow. Those sound amazing. Chocolate chip waffles are one of my favorite breakfast meals. It’s like breakfast and dessert all in one! Chocolate chip waffles are the best! This recipe looks amazingly delicious! Thank you so much! It is a favorite at our house! Homemade waffles are the best! It’s been way too long since I broke out my waffle iron. This recipe looks perfect for the weekend. Yes please! Looks delicious and easy to make. 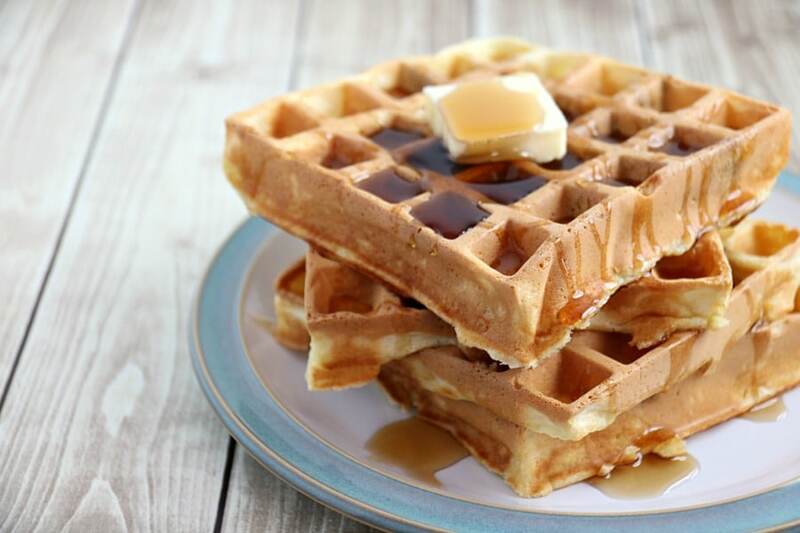 Great waffle recipe! Can’t wait to try it~ Cinnamon is such a great touch! These look really good! My kids will surely love these! What a wonderful day starter! My family will devour these in minutes! I love chocolate chip pancakes know I have a recipe for waffles oh my Gosh! Purr bliss thanks for sharing. We shared this chocolate chip waffles this week. Everyone in the family loves it! Every bite burst with happiness, it’s like the heaven opened its gates. This is so good, so thumbs up! I have a weakness for waffles, especially ones with chocolate in them. These are perfect!